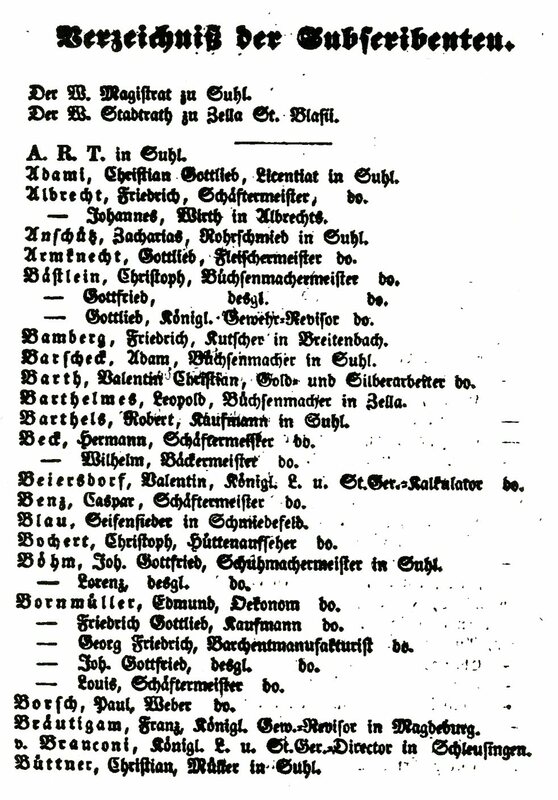 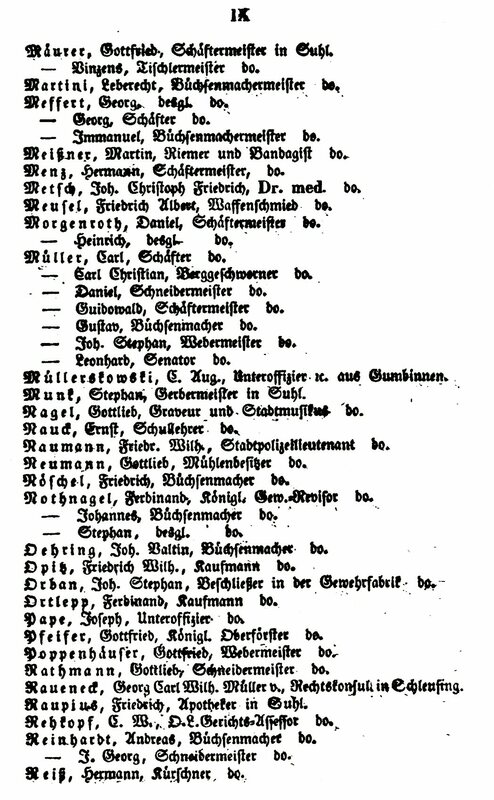 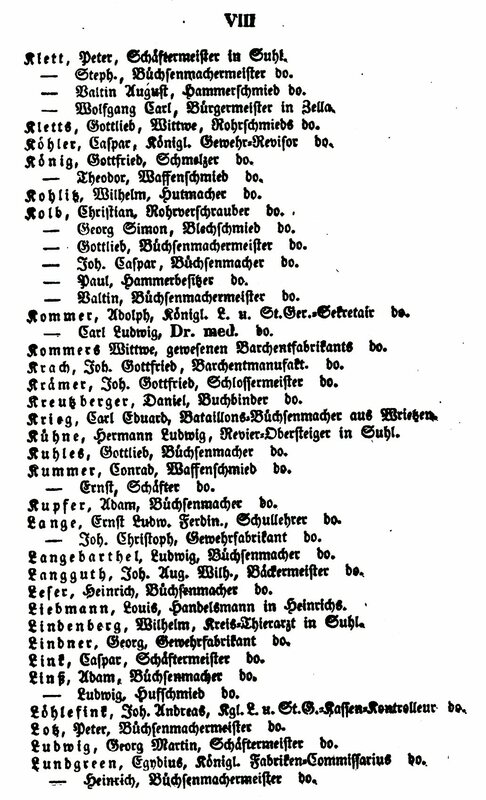 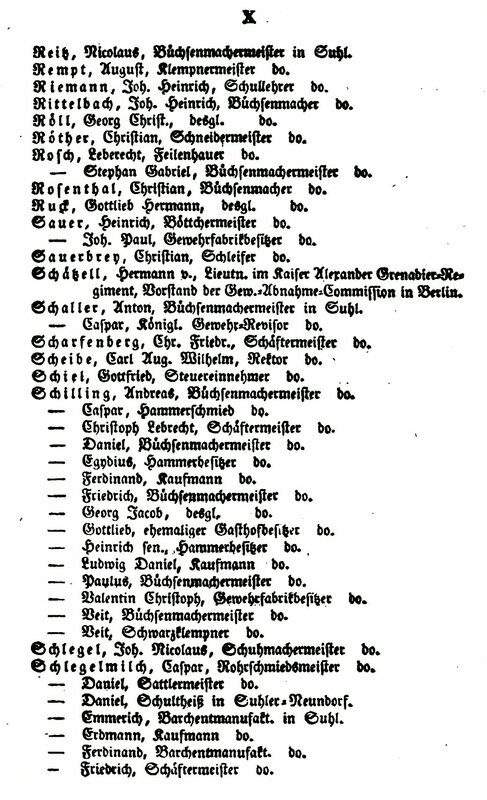 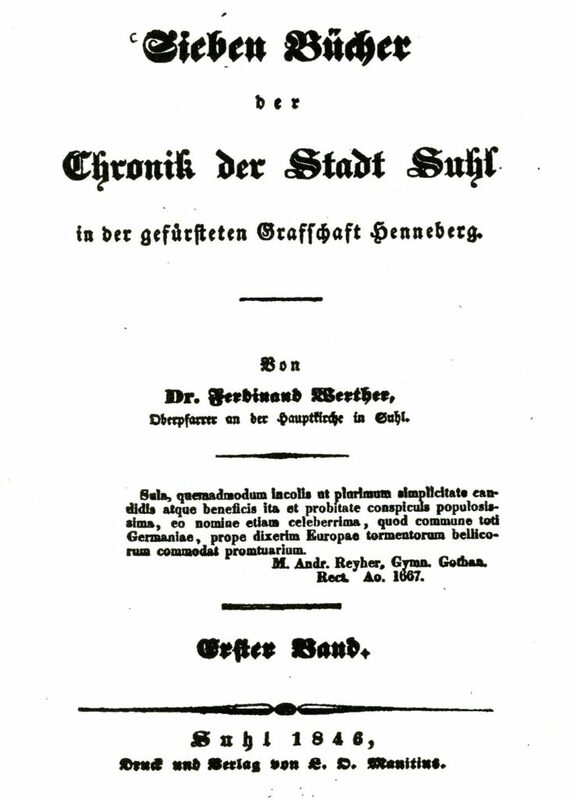 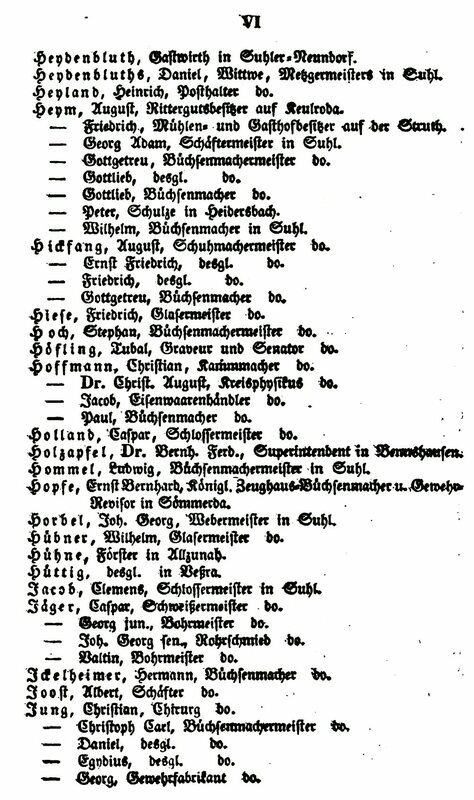 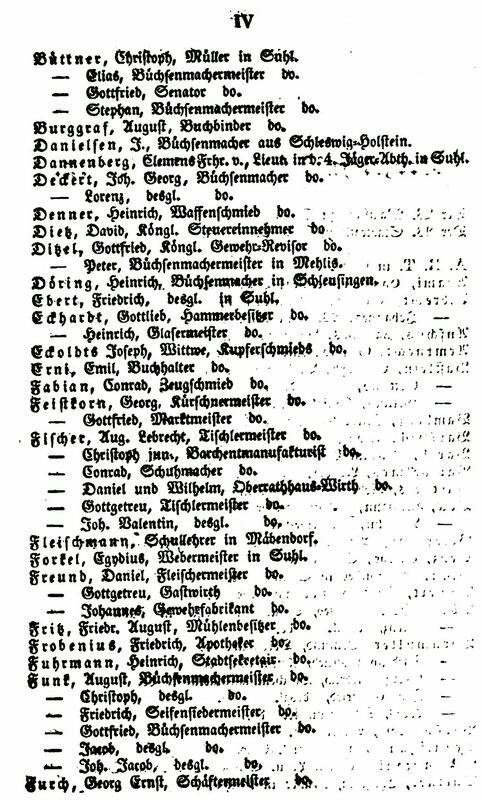 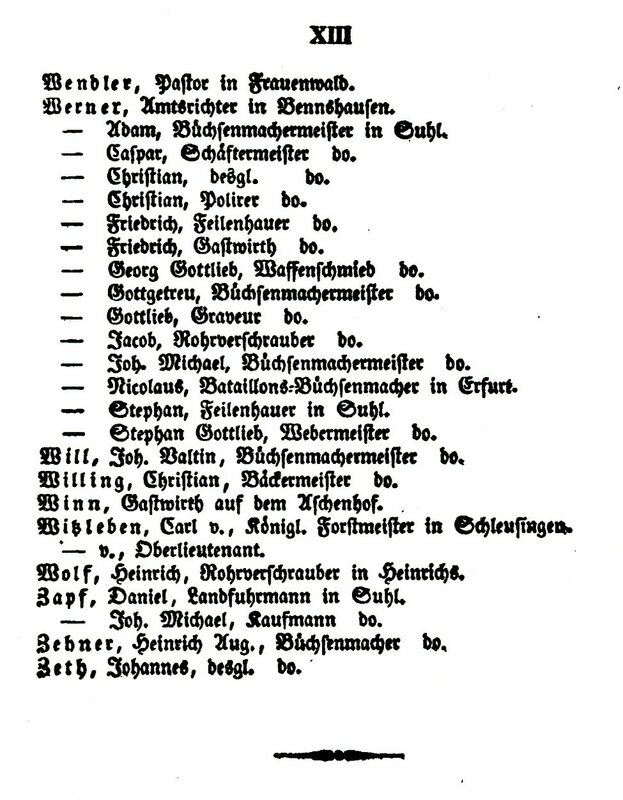 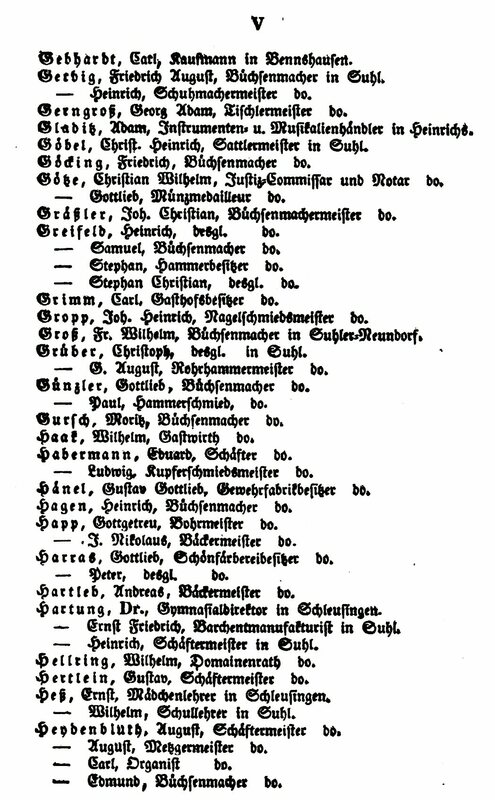 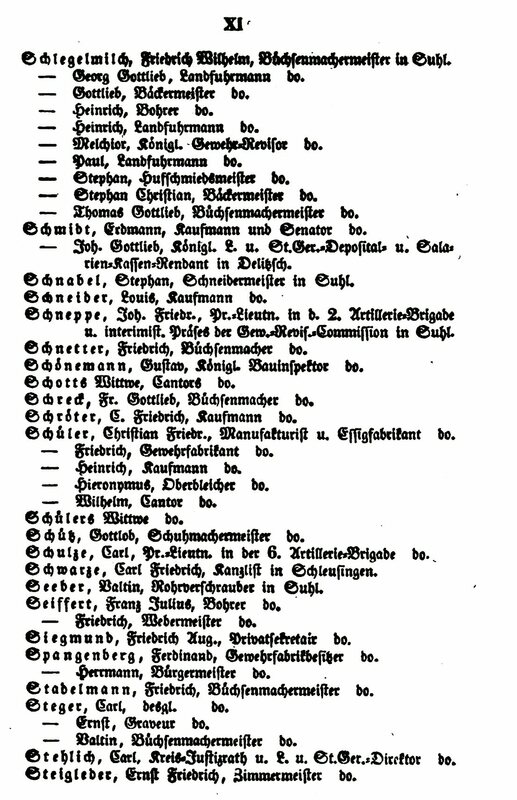 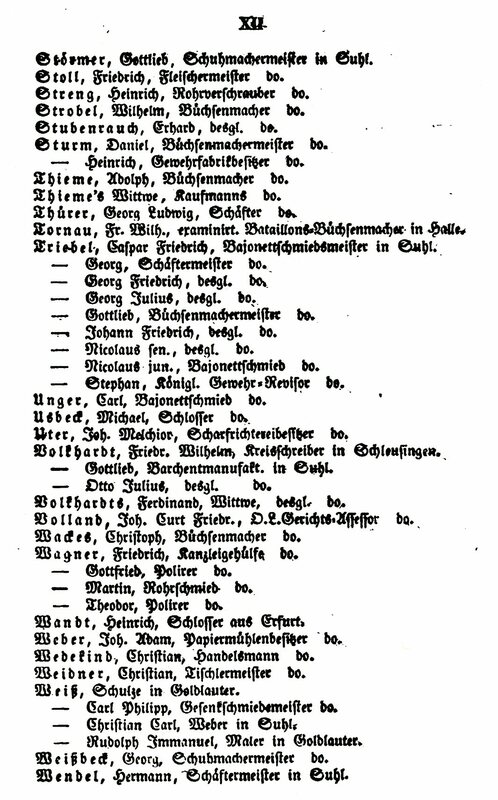 The following is a list of Craftsmen working in Suhl and was found in the 1846 edition of the Chronik der Stadt Suhl by Dr. Ferdinand Werther. 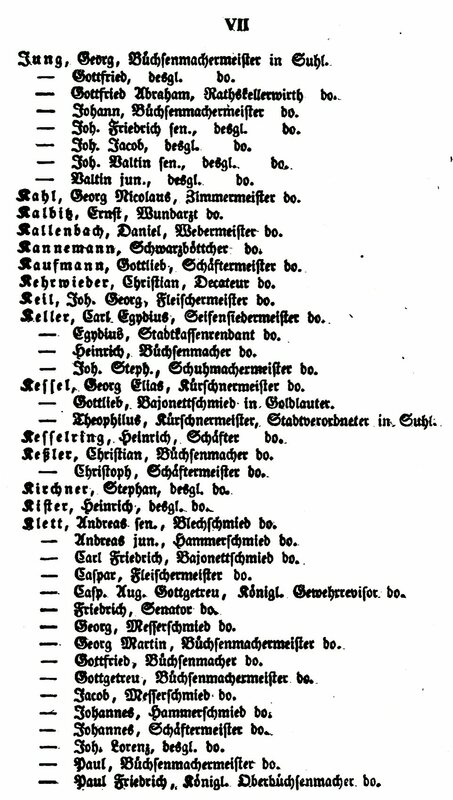 It includes Waffenfabrik’s, Büchsenmacher’s, Büchsenmachermeister’s, Schaftermeisters, and Gewehrfabrik’s amongst the many occupations. 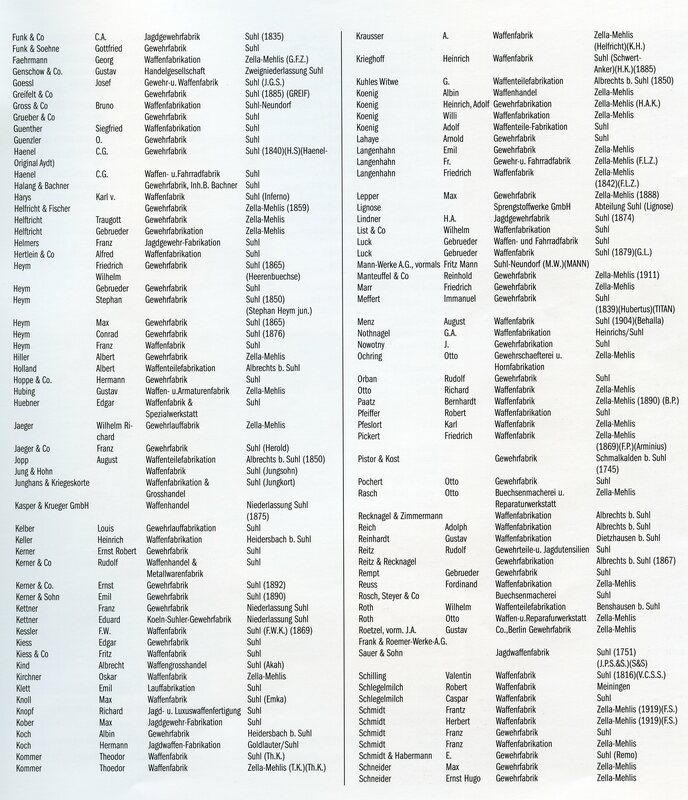 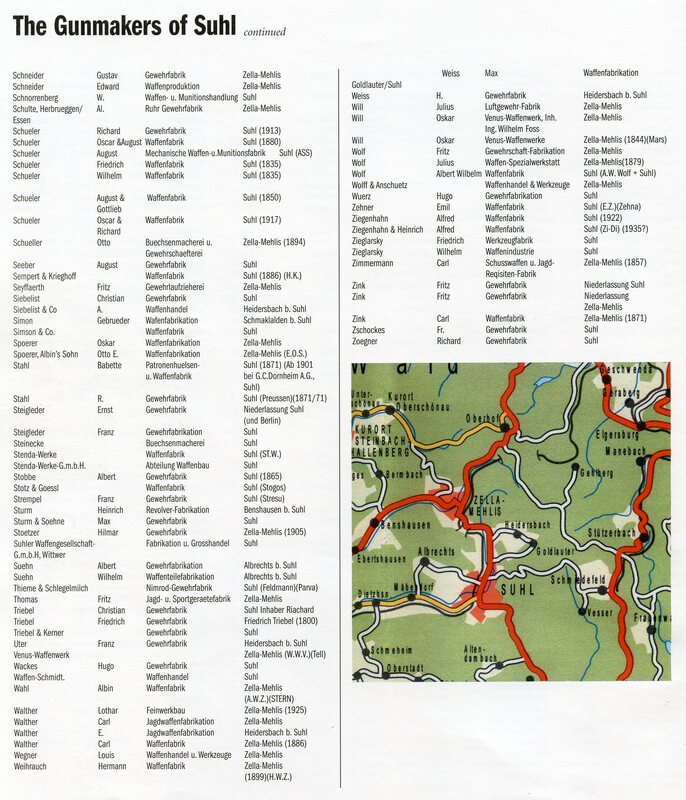 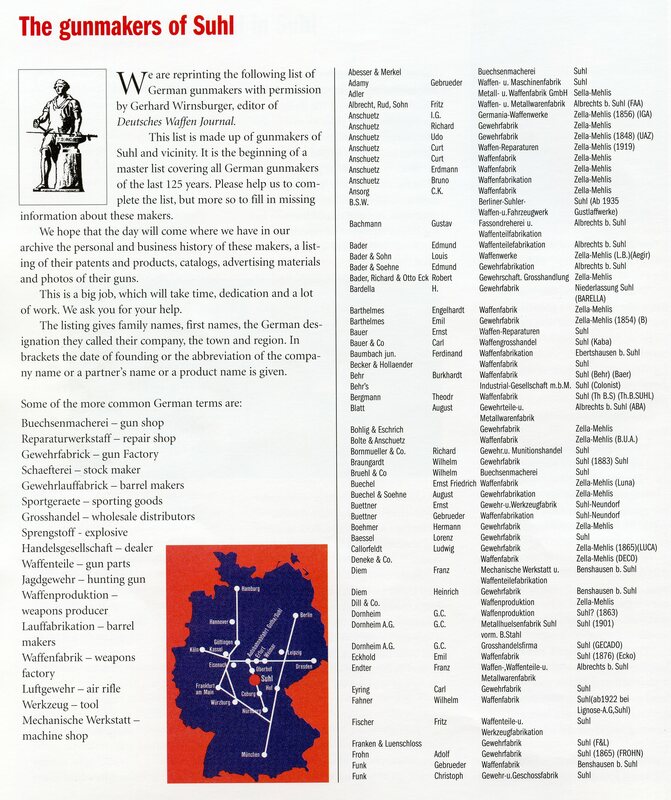 The following list of Suhl Gunmakers was part of the Spring 1999 edition of der Waffenschmied edited by Dietrich Apel.